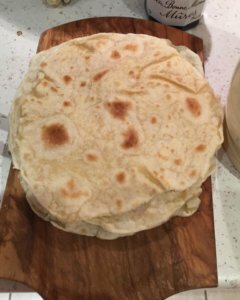 Homemade wheat flour tortillas--easier than you'd think! Designed and built by 50 Seconds North. © Website and content copyright Aliette de Bodard 2019. Header image adapted from a photo by Nick Nguyen. Licensed under the CC BY-SA 2.0 license.